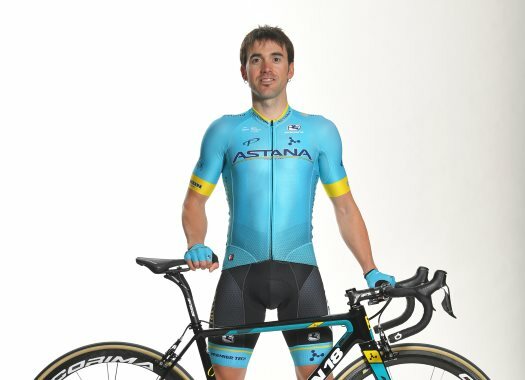 Astana's Ion Izagirre has taken his second overall victory of the season at Itzulia-Vuelta al Pais Vasco. Astana launched an attack in the fourth climb of the day that gave the rider enough time to take the lead of the General Classification. Izagirre crossed the finish line in the fourth position but it was enough for him to take the victory in the race of his home region. "I am so happy! It is a very special victory for me! After so many podiums, finally, I won this race," he commented. "It is very special because it is my home race and all my family and friends were here at the finish to support me! So, I could share with them this great success!" Astana set the rhythm of the peloton to chase the escapees and during the climb of Azurki, Jakob Fuglsang launched a strong attack and took Izagirre with him. The duo, along with Adam Yates and Dan Martin, got to the finish line together and celebrated at the end the victory of the Spaniard. "We have a very strong team here and we knew we have to try something today to fight for the overall victory," Izagirre explained. "We knew that this was possible to do. We had a great tactic for the stage and all team did an amazing job to provide me and Jakob the best moment for attack. "Later, in the break, Jakob was absolutely great and I want to thank him for today. Indeed, it is a team’s success, we rode really well as a team during this week and, finally, we’ve got this win!"